Daniel P. Sipple D.O., F.A.B.P.M.R., D.A.B.P.M. Total disc replacement (also referred to as “artificial disc replacement“) is a surgical procedure in which a degenerative or injured spinal disc is removed and replaced with an artificial disc. Why Spinal Discs Break Down? When a disc deteriorates it can result in pain or decreased functionality. Worn out discs can be treated non-surgically with physical therapy, pain medication, and injections. 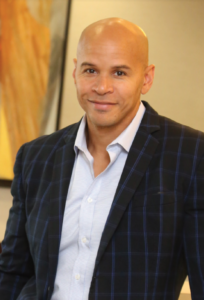 If these treatments fail, a total disc replacement may be the best avenue for relieving pain and getting your body back to peak physical condition. What is Total Disc Replacement? A total disc replacement is exactly what it sounds like – a complete replacement of one or more of your spinal discs with an artificial disc. These artificial discs are made of either metal or a combination of metal and plastic. They are FDA approved in the United States and have an excellent track record in available studies. Traditional treatment options for worn out discs have centered around spinal fusion or welding the two bones surrounding the disc together. For some conditions spinal fusion is an excellent option and can result in dramatic improvement in pain symptoms and quality of life. The major drawback to fusion however is the loss of motion at the levels fused. This can lead to abnormal stresses of the disc above and below the fusion and create premature breakdown. This can lead to the development of pain and eventual need for more treatments and procedures. Total disc replacement in properly selected cases can achieve all of the same goals as surgical fusion while preserving the motion between the vertebral bodies. This can lead to decreased stresses at the adjacent levels and less breakdown with time. This has been shown in numerous clinical studies. The cervical or lumbar spine is exposed through an anterior (front) incision and the target disc is marked using imaging. Using specialized tools the degenerated or injured disc is removed completely. Trial spacers are placed to achieve the exact right fit for the disc replacement. The artificial disc is then inserted using specialized delivery devices to achieve the perfect fit. Final xrays are taken to confirm proper placement. The incision is closed with absorbable stitches and the patient is brought to the recovery area. Total disc replacement in the cervical (neck) region generally takes one hour per level performed. During the procedure, the surgeon will make an incision in the front of the neck. Using a live x-ray, they will be able to precisely remove the degenerative disc. Once the disc is removed, the surgeon will put the artificial disc in place. After completing surgery, the patient can be discharged to home as an outpatient. Disc replacement surgery in the lumbar (lower back) region is similar to the cervical region. A vascular surgeon assists in approaching the anterior lumbar spine to help mobilize the large blood vessels (aorta, vena cava and iliac vessels). The surgeon will identify the degenerative disc and make an incision in the abdomen, remove the disc and replace it with the artificial disc. Patients who undergo disc replacement surgery can have very rapid recovery times, but this can vary depending on the individual patient, number of levels treated, and other factors. Recovery will include rest, physical therapy, and a short course of pain management medication. If you are experiencing back or neck pain, a total disc replacement may be the best option for you. Give Dr. Sinicropi a call today to discuss your options. 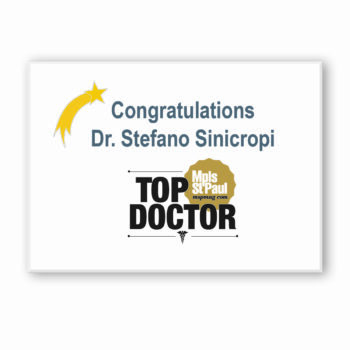 Dr. Sinicropi treats patients in the Twin Cities metro area and throughout Minnesota – 800.234.1826. 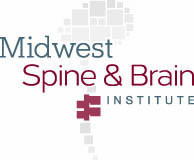 The information contained on this site is intended to provide only general education about spine surgery and conditions. It should NOT be regarded as diagnostic, treatment or any other type of specific medical advice to anyone. Individuals should always consult a licensed and qualified health care provider for evaluation, diagnosis and treatment recommendations regarding their specific spine or other medical problems. If you think you may have a medical emergency or a major medical problem, call your doctor or 911 immediately. The information contained herein is subject to change without notice. Results may vary from person to person. 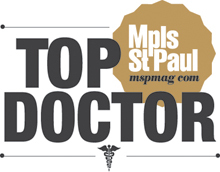 Dr. Sinicropi performs surgery in the following Minnesota cities: Edina, Burnsville, Roseville, Woodbury, Maplewood, Stillwater.